I’ve been flirting with Scapa for a year now… tasting it here and there, but never in a situation where I could contemplate and write about it. It surprised me at WhiskyFest 2011, standing out amid a throng of other whiskies that had me pretty much in the bag by the time I got around to the Scapa table. My notes amount to “Mm! Gud!” Finally, I got to have a nice long conversation with a pour of Scapa 16 at K&L this week. It delivers. Just when I was starting to think I’d discovered all the exciting single malts around. It’s not often that I’m taken by a scotch aged solely in ex-bourbon casks (100% first-fill, in this case), but the flavors here are deep and focused. Scapa is located by the ocean in the Orkney Isles, off the northeastern coast of Scotland’s mainland. Like Highland Park, it shares the distinction of being among the northernmost distilleries in Scotland. Unlike Highland Park, Scapa does not use the local Orcadian peat to dry its barley. Also unlike Highland Park, Scapa restricts itself to aging in those first-fill bourbon barrels, which is probably the least intrusive way to age whisky – only a 3rd- or 4th-fill ex-bourbon cask would impart less influence on the whisky. In fact, at its essence, Scapa is as simple as single malt gets: good malt carefully distilled, aged in the simplest possible way, and bottled without flourishes, finishes, or fanfare. I only wish it were bottled at 43% ABV and was not chill-filtered, alas. I marked it “Must Try” because I feel that Scapa showcases what can be done without fancy barrel finishes. 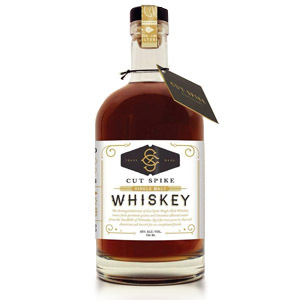 It’s a great whisky to try if you’re looking to step out of the mainstream. Nose: Briny. Sugar cookies and vanilla saltwater taffy. Very floral – honeysuckle. Elegant. It rewards a lengthy pondering by evolving more depth – not so much new aromas. It definitely reminds one of the sea – briny air, seaweed washed up on shore, and driftwood drying in the sun. Palate: Light in body and flavor, but focused – a nuttiness like salted cashews, and distinct vanilla and malt (which continues to show as sugar cookies and saltwater taffy). Finish: Light and of medium length. Vanilla bean and fresh dairy cream. Elegant to the last, and devoid of bitterness. With Water: A surge of banana (ugh), but that fades and reveals syrupy melted ice cream. Definitely try it with a few drops. Overall: Quite good. 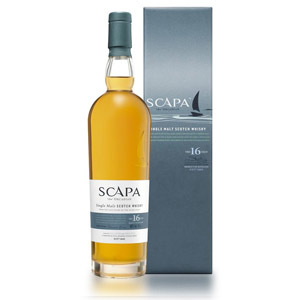 Scapa is light in nature, but delivers surprisingly deep and complex variations on the theme. Not just vanilla, but rich, roasty vanilla. Not just taffy, but briny, homemade saltwater taffy. 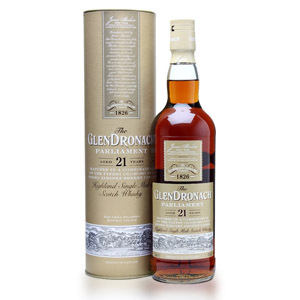 Not just a good sipping malt, but elegant and accomplished from nose to finish. Now owned by Pernod-Ricard (better known as the owners of Chivas), Scapa is aptly named for the Scapa Flow, a natural harbor along the south coast of the “Mainland” isle of the Orkney Isles. Situated directly on the shore, Scapa malt might derive some of its salty nature by aging in warehouses that face the sea. Scapa is the second most northerly Scottish distillery, losing out to Highland Park by about 1 km. Scapa’s process water comes from three springs near Orquil Farm to the west, which flow through peat bogs and contribute the only peat used by Scapa Distillery. This water is piped partway to the distillery in order to avoid further peat contact. Finally opened my bottle as part of our Highland Park vertical tasting last Friday (technically an Orkney) tasting. Alongside the HP 12, 15, 18, and 21, it provided a really nice contrast of flavours and scents, and was far smoother than the HP expressions. I am going to have to explore the remainder of the bottle on its own to get a good sense of it. Glad to see someone else likes the Scapa 16. Great tasting notes. I found it to be refined, velvety, and really tasty stuff. I do wish it was $15 cheaper so it isn’t an every day (unfortunately). I love this whisky! I don’t know why it got “bad” reviews on other websites. Well played Scotch Noob! Very nice review and similar to my recollection of the Scapa 14. I’m looking forward to picking up a bottle of the 16. I’ve drank quite a few single malts over the past 10 years and Scapa 14 is the only one I recall that I really loved because of the briny flavor. I was surprised how relatively poor the net reviews are. I highly recommend visiting the Orkney Islands – a truly magical place – and my memory of seeing the distillery sign overlooking the Scapa Flow after a tour of the prehistoric archeology may bias my preference, but I much preferred Scapa 14 to the Highland Park 12. Anyone relying on my rec should know that my favorite Scotch is Johnnie Walker Black because I can taste both the Speyside and Islay elements in it and I do not like sweet Sherry/Bourbon flavors. Takeo, thanks for the comment! I think you’d probably enjoy Old Pulteney and Clynelish as well, which are both quite dry and briny. 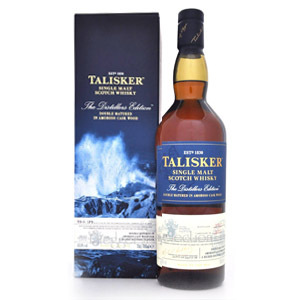 And, of course, Talisker 10. Cheers! Thanks, I’ll look out for the OP & Clynelish. I went through a 200 ml. each sampler of Talisker (I think the 10), Caol Ila, and Laphroaig and it made me appreciate Islay in JB Black. I agree they have the brine but the iodine overwhelms it for my palate. I have this one open currently, and it was much nicer than I expected upon first taste. My first taste attraction was to smoky whisky. Then I found a few nice sherried ones to my liking. Now I’m discovering a real taste for highland malts. The Scapa and a newly opened bottle of OP 12 are similar in tone, and I love them. Clynelish is on my to do list, just not availble here at the moment. 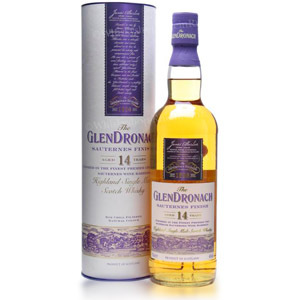 I have a Clynelish 14 nearing the end of the bottle at the moment. It’s excellent, although it’s more subtle (a little “lighter”) than Scapa or OP. It doesn’t have the meaty/briny/robust qualities of those two, but it does have a lot more elegance and the house characteristic “waxy” flavor which I really like. I was looking for some special single malt whiskey to bring home to HawaiI. I found a bottle of Scapa in a news sellers store in Lerwick, Shetland Islands, Scotland. 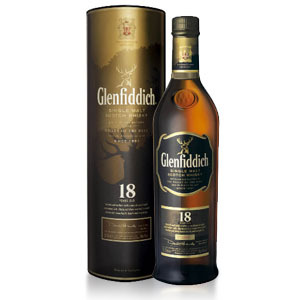 It was distilled in 1993 by Gordon & McPhail and bottled in 2009. Any comments? My friend also got one that she took to Vancouver, B. C. My deceased husband loved single malt so I was channelling him during my travels in Scotland. I haven’t opened the Scapa, yet. I appreciate your advice about tasting. We did go to the Glenfiddich Distillery. I do have some glencairn glasses. Found this bottle lying on the local liquor store with like 2 inches of dust cover it…..so shelled out $80, and opened it last night. Welcome the brine but the iodine i’m not so sure. Will give it another try in couple weeks and see if something else develops. All in all, very smooth and not in your face, but got some interesting-unexpected complexity to it.